Our mind is caught up in so many things. Errands, office work, traffic, past experiences, future worries etc, and it constantly keeps swaying like a pendulum. In such a state, our ability to listen and convey our message seems difficult. In order to say something, we need to first make sure we are relaxed, so that the message is conveyed. In addition, when we hear something, with a calm mind, we can understand what is said, so that we can act with wisdom. How to deal with such a situation? A calm and relaxed mind which is present in the moment can communicate effectively. The breathing and meditation practices taught in the Art of living courses (started by H H Sri Sri Ravi Shankar) help us reach such a state of mind. 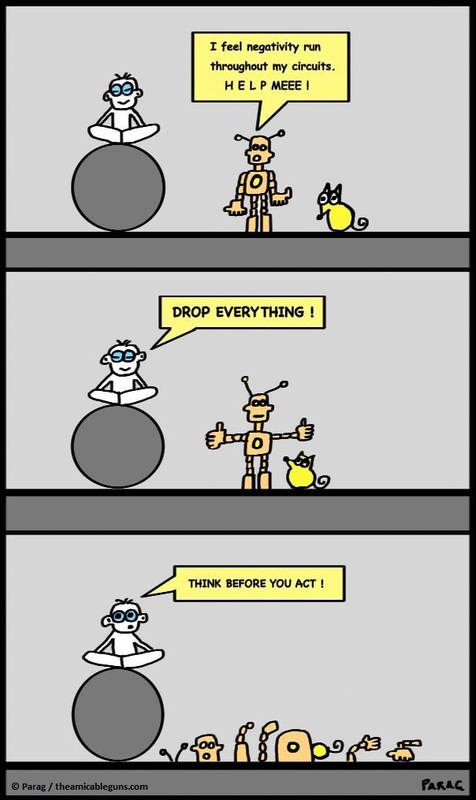 And we no longer end up like robots (with limited ability) disintegrating ourselves on an advise, meant for our own benefit. Seems like a small world these days. The internet technology helps us connect with everyone and works on PCs, laptop, tablets, cell phones, you name it. 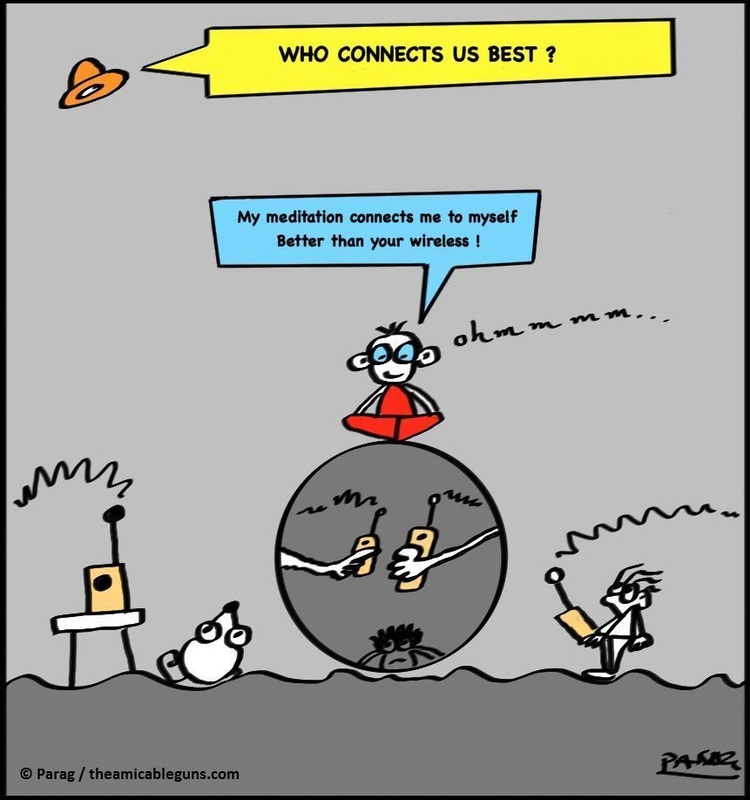 However, when we think about connecting to ourselves technology offers us little choice. I have always looked out for a magic button in the browser or a downloadable app on my Ipad. The question at first seems to confuse us as we need to find a method to do it, and once we do it, what exactly happens? Breathing and meditation techniques taught in the art of living courses (started by H H Sri Sri Ravi Shankar) helped me clear my doubts. We all are creations of Mother Nature. To connect with our nature (self) is to connect with everyone. By focusing outwards, we tend to lose this connection. The techniques helped me reach closer to the self and have a better connectivity with my own nature. In short, my meditation techniques connected me to myself better than any other technology.